At my former place of employment, I became the “tomato lady” about mid- to late-July. By about mid- to late-August, most of my co-workers were fairly sick of the daily dose of red. Whether that will happen with my new co-workers remains to be seen. 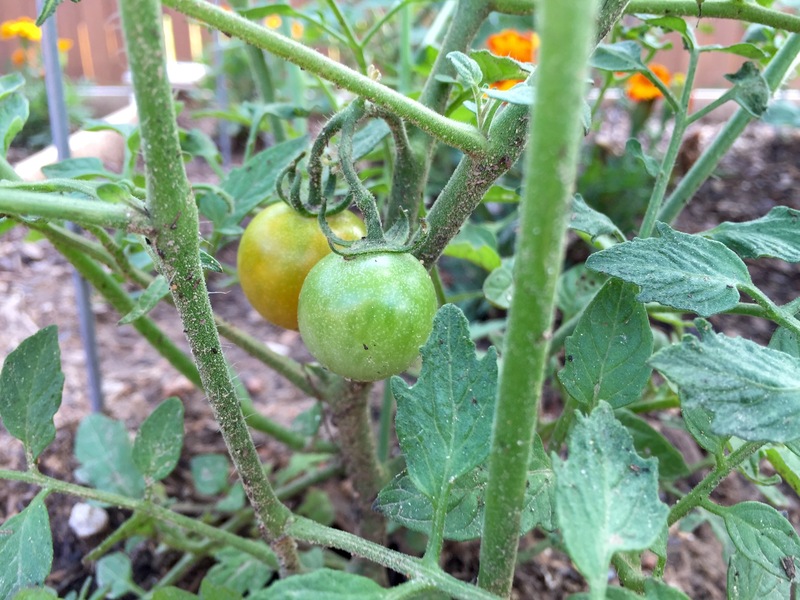 First, my tomatoes have to be prolific enough to produce enough for me, my father-in-law and neighbors who helped me move the dirt for the garden before I even think about taking tomatoes to work. The Super Sweet 100s have the best chance at being able to do that. If fruit keeps popping up like it is (note photo above), I could have plenty to share. I can’t wait for more red cherry tomatoes like the one below. 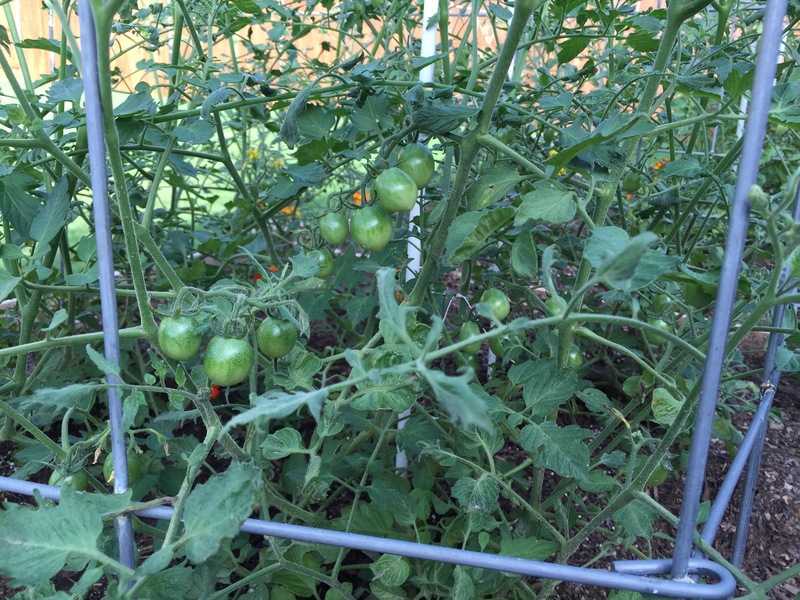 This entry was posted in Gardening and tagged tomatoes on May 18, 2015 by Julie Riebe. Haha. Well, if they’re new co-workers, you haven’t got the pressure to live up to expectation yet. I don’t see how anyone could get sick of the daily dose of red! Thanks Jen, I don’t understand how anyone could get sick of fresh garden tomatoes every day either. 😉 But then again, I eat them for lunch, snacks and supper when I have them! I took my co-workers fresh basil and chives yesterday. It smelled so good and they were so happy. I love how fresh herbs and veggies put a smile on faces. Not to mention that I might get a jar of homemade marinara sauce out of the deal!